So.... I kinda fell down on the job of posting a new "Where Am I?" every day, but that's because I left the island and had all good intentions to keep on posting... sigh. But... I did have this pic in reserve for Christmas Eve and – better late than never? 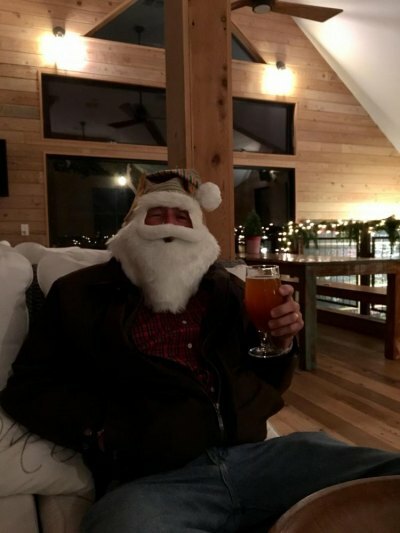 Although this Santa was actually drinking a beer in Seattle on Christmas Eve, a few days before he was on Ocracoke and sipping a brew.... where?